YouTube - Garrett Hartle is getting nervous. 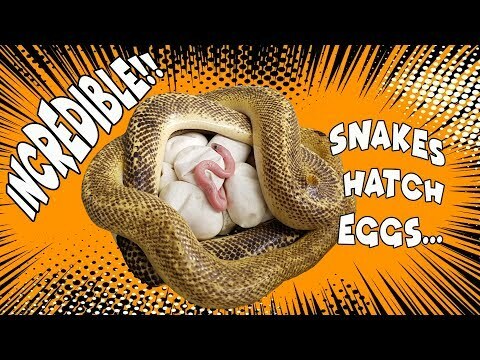 One of his prized female super dwarf reticulated pythons is full of eggs, but is not past her due date. 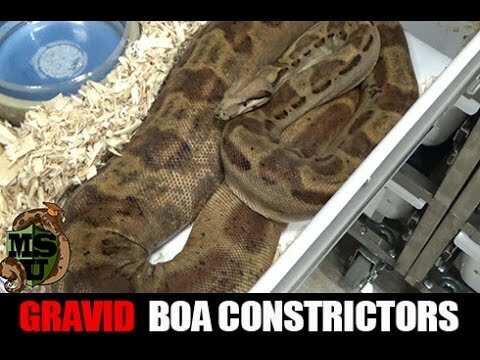 This particular female was not raised at Reach Out Reptiles, and is overweight–a condition that commonly causes females to become egg bound, which is a potentially fatal situation for both mother and eggs. Watch Garrett as he “palpates” the female by hand to assess whether everything is going okay… or not. Facebook - Rich Kedzierski caught the moment as this Ball python female was laying a nice clutch of eggs. See the full size pic after the jump!